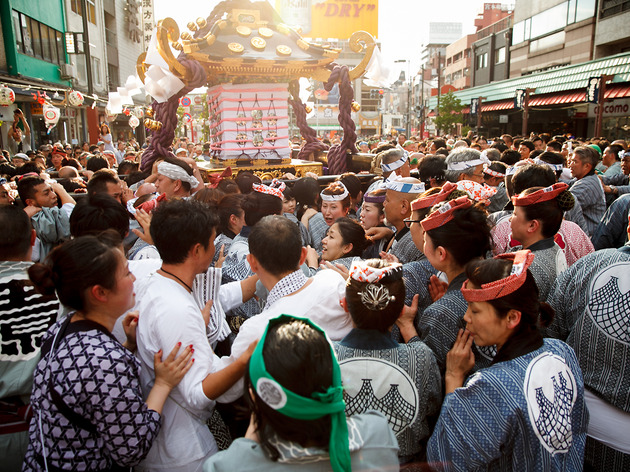 The oldest, greatest and rowdiest of Tokyo's traditional festivals, Asakusa's Sanja Matsuri was first held in 1312 and remains an annual highlight on the city's event calendar. 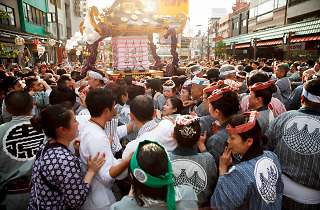 It takes place over three days, starting with a parade that sees members of the area's 44 neighbourhood associations carry around 100 mikoshi (portable shrines) through the streets, while the most spectacular part is the last day's miyadashi, when Asakusa Shrine's three giant mikoshi are paraded around the shitamachi before returning to the shrine for the solemn miyairi in the evening. Check out our photographers' best shots from last weekend's festival below. The latest from the Time Out Tokyo editorial team – everything Tokyo, from city life to cat pics.